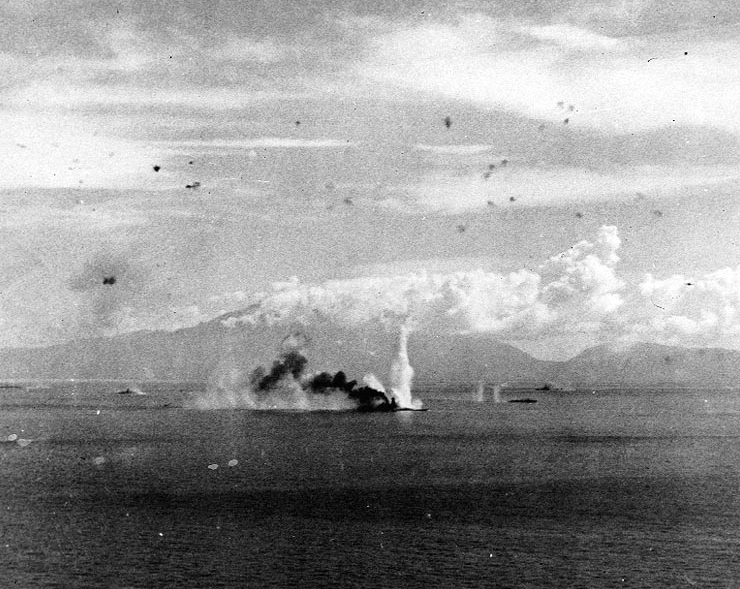 I’m taking a break from politics for a few days and posting some old articles about the Battle of Leyte Gulf, the biggest naval battle in history. This is the second in that series. I hope you enjoy. 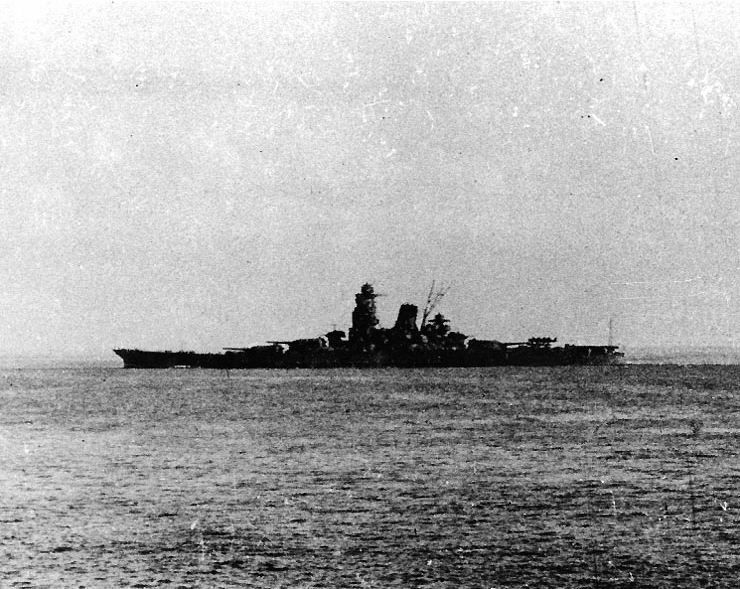 Following the loss of Atago, Maya and Takao Vice Admiral Takeo Kurita’s Center Force had an uneventful rest of the day on the 23rd as his ships kept a watchful eye and ear for more US Navy submarines. At about 0800 on 24 October the Center Force was spotted by 3 U.S. Army Air Force B-24 Liberator bombers which promptly reported them. 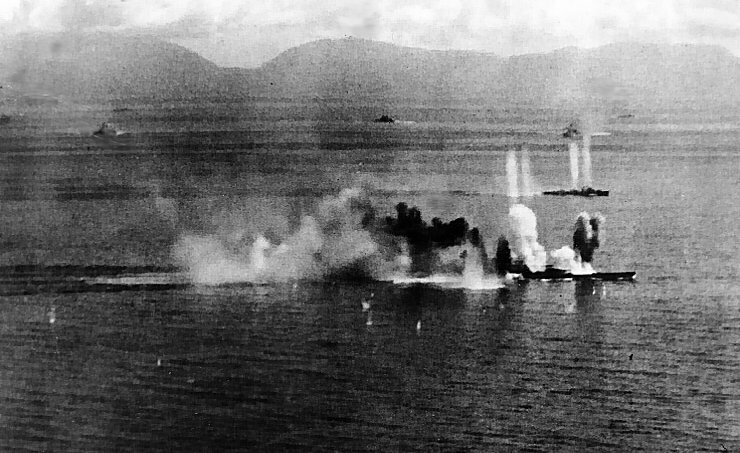 Thirty minutes following this attack at about 1330 Musashi was attacked again by Helldivers and Avengers. She is hit by 4 1000 pound bombs and 4 torpedoes. 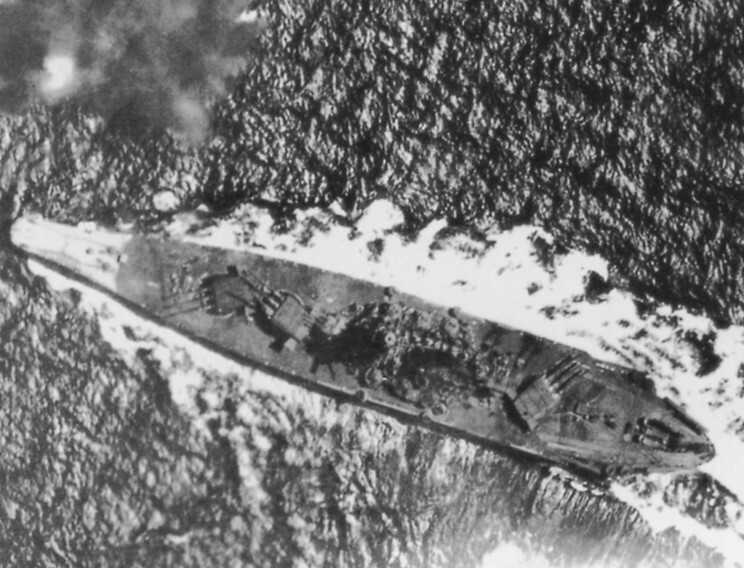 She was now so badly damage that she could no longer keep up with the fleet and dropped behind to fend for herself. At 1350 this attack ended and her speed reduced to 20 knots while she was now down 13 feet by the bow, with nearly all of her trim and void tanks full. With such damage the was now little room for any more damage in her forward compartments, but the hits would keep coming even as she dropped behind the rest of the fleet. At 1620 her skipper Rear Admiral Toshihira Inoguchi began desperate damage control measures to control the increasing list which had reached 10 degrees to port. 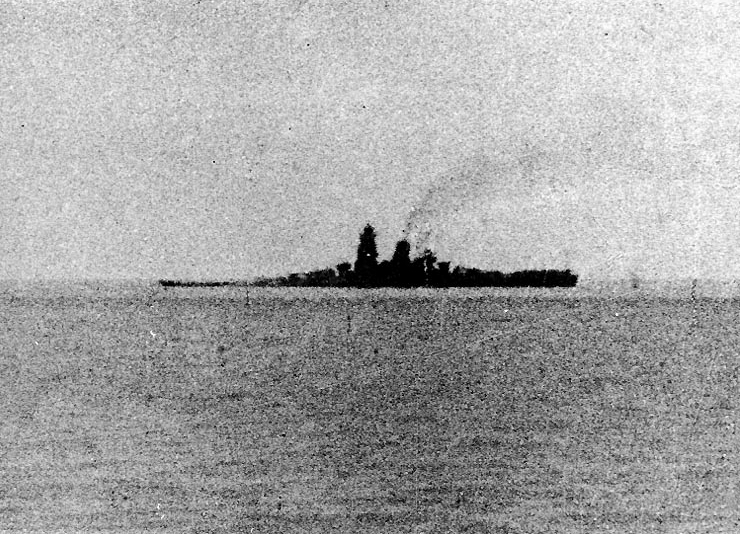 Now dead in the water Musashi continued to list further and when the list reached 12 degrees at 1915 Inoguchi ordered preparations to abandon ship. The surviving crew assembled on the deck, the battle flag and the Emperor’s portrait were removed. 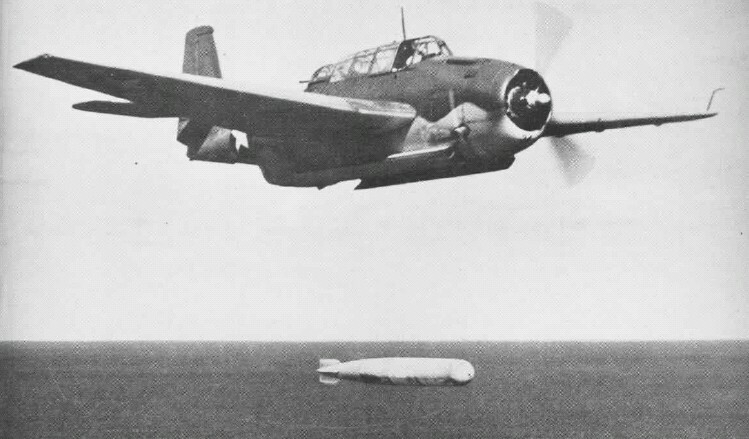 Admiral Inoguchi gave his personal notebook to his Executive officer Captain Kenkichi Kato and directed then him to abandon ship. Admiral Inoguchi retired to his cabin and was not seen again. At 1930 with the list now 30 degrees Captain Kato gave the order to abandon ship and soon with the list increasing further men began to slide across the decks being crushed in the process. Panic broke out among the crew which had been assembled by divisions and Captain Kato ordered “every man for himself.” At 1936 the ship capsized and port and went down by the bow sinking in 4,430 feet of water in the Visayan Sea at 13-07N, 122-32E.